Our calling to move back to Africa is in line with God's character of revealing His itinerary for us one step at a time. Now we believe He has called us to the next big next step -- moving back to Africa to establish Kingdom View. Twelve years of ministry have given us a clear focus to help Africans understand their freedom and identity in Jesus. This is the only way they can overcome economic dependency on the west, endemic corruption and a continuing influence of witchcraft. As usual, the implementation is totally beyond our means. That gives confidence God is in it as we know He wants the glory. We believe where God provides the vision, He provides the provision. In faith, we are planning on returning to Uganda for a month on Sept. 7 to continue our discipling in person and to lay the groundwork for a move there by April 2015. In the meantime, we are preparing our Dallas home for rental and seeing who God will provide to stand with us. We trust God to assemble teams of prayer warriors, ministry boosters and financial partners (see chart below for specifics) to help the vision of Kingdom View become a reality. We have land to build an "Aquila and Priscilla Missionary Home" (the circular banda #1 on the site plan) which would serve as our residence in Phase 1. 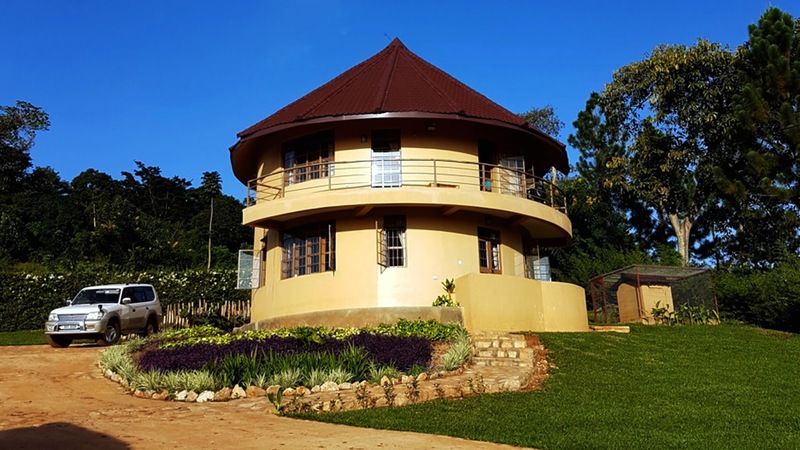 Our land also is sufficient for three guest bandas with two self-sustainable units each and a pavilion with kitchen for 150 people serving campus fellowships in Phase 2. A fellowship center and guest house is Phase 3. An adjoining two-thirds of an acre is needed for retreats and future expansion (funds needed now as land could be offered to other buyers). If you think God may be prompting you to use your spiritual gifts to be a part of this vision, please contact marknoblin@rockoutreach.org or call him at 214.912.2198.